This is a nice scale model of a racy sport plane. 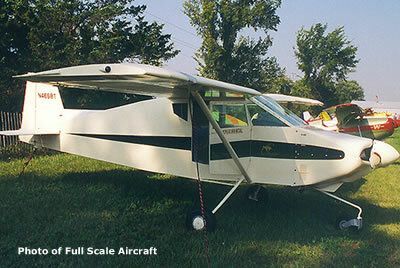 Because the original plane was small this model is IMAA legal with a 62" wingspan. You can easily carry it to the flying field in your car. The plans call for an Enya .45 engine.